In the first of two blogs from public health doctors on preventing influenza (‘flu), David Roberts explains why the influenza vaccine changes each ‘flu season, how effective these vaccines are and how that is measured. Tomorrow, Emma Plugge takes a look at some of the Cochrane evidence on preventing influenza through vaccination. Why does the influenza vaccine change each year? Influenza (‘flu) is an infectious disease caused by the influenza virus, of which there are several strains. The influenza vaccine works by priming the body’s immune system to recognise the molecules of the influenza virus that would normally stimulate an immune response during a natural infection. These molecules are termed ‘antigens’. These antigens can change from year to year. The predominant circulating strains can also change each year. Unfortunately, these antigen changes, and changes in strain-predominance, mean that the vaccine you received one year may not be effective the next, and a new formulation is required. The precise formulation is determined each year by an expert working group, who predict the best formulation to use after reviewing global surveillance data on circulating strains. How effective are influenza vaccines? Studies are conducted by public health agencies every year to determine how effectively influenza vaccines reduce the risk of influenza illness. More specifically, ‘vaccine effectiveness’ refers to the percentage of cases of influenza that could be prevented if a population is vaccinated, compared to an unvaccinated population. Because influenza changes over time, and because the vaccine formulation is based on a prediction of the most likely circulating strains, the effectiveness of the vaccine will vary depending on how well matched it is to the actual strains in circulation that year. 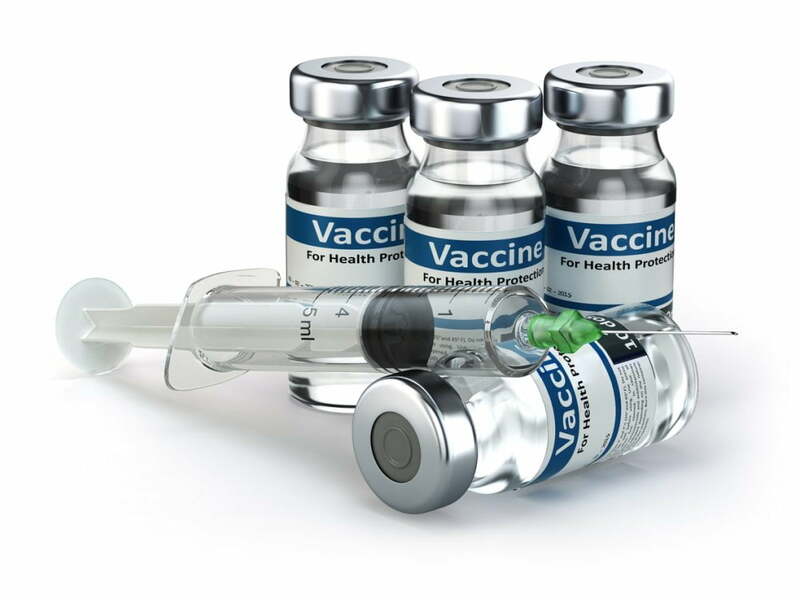 Additionally, effectiveness also depends on the individual’s immune response to the vaccine, and the type of vaccine given (there are several) in each vaccination programme. For these reasons, age, pre-existing illness, and the particular vaccination programme in question need to be considered before comparing different vaccines. The 2017/18 season vaccine had low effectiveness (25%) in England because of a poor match by the vaccine to one of the predominant strains (Flu A H3N2) antigen (Rondy et al, 2018). Additionally, most formulations used did not include another of the predominant circulating strains (Flu B Yamagata strain) because it was predicted this particular strain would not be very common. When there is a good match then effectiveness can be much higher (52% in 2015/16 for example; Pebody et al, 2016). Cochrane meta-analyses of randomised controlled trials in the over-65s suggest an average effectiveness of prevention of laboratory confirmed influenza in these studies of60% (Demicheli, 2018). However, it is worth bearing in mind that these measures of effectiveness of prevention of flu illness do not directly inform us how effectively a vaccine prevents more important but much less common outcomes, such as hospitalisation or death. Additionally, as with any intervention, effectiveness also has to be considered alongside the risk of potential harms. How is influenza vaccine effectiveness measured? The most accurate way to test how well a treatment like vaccination works would be by a randomised controlled clinical trial, and these have been conducted to test influenza vaccines, but it is not feasible to conduct these each year when the vaccine changes to monitor how effectively the new version prevents flu illness. Most of the figures for influenza vaccine effectiveness you may have seen in the news headlines are calculated using the ‘test negative control’ method (for a full discussion of the design see Sullivan et al, 2016) . This uses a case control method, where the odds of being vaccinated in people who have influenza (cases) are compared to the odds of being vaccinated in people who do not have influenza (controls). However, cases and controls are not recruited from the general population, which would require a very large number of people to be observed before we would have enough people to perform our study. Instead we recruit from patients attending their GP with influenza-like symptoms and are then tested for influenza (usually by a nose or throat swab). Cases are confirmed to have the strain of influenza of interest, and controls test negative for influenza, hence the method is named ‘test negative control’. An advantage of this study design is that cases and controls are similarly likely to be able and willing to consult a GP, and therefore assumed to be comparable in terms of other things that may alter their risk of influenza, such as general health. So should I get vaccinated? For most people who are healthy influenza will only cause a mild illness, and influenza vaccination is not offered routinely, with some exceptions – such as adults whose work, for example nurses, means they may risk spreading infection to more frail individuals. For older people, pregnant women, and children and adults with illnesses that may mean they respond poorly to influenza infection (such as people with weakened immune systems or chronic chest conditions), getting vaccinated is more important and is recommended by the National Health Service (NHS). Young children are also offered vaccination in the UK as they are particularly efficient at spreading respiratory tract infections, which impacts on vulnerable adults. The children themselves will still also benefit from the vaccination too. Even in years when the vaccine is relatively less effective due to a poorer match to the circulating strain, vaccination remains the most effective way to prevent influenza. Join in the conversation on Twitter with @CochraneUK or leave a comment on the blog. In a second blog, published tomorrow, Emma Plugge takes a look at some of the Cochrane evidence on influenza vaccination. David Roberts has nothing to disclose. David is a qualified doctor. After several years working in hospital medicine and on a clinical trial, he is now training in public health (the science and art of improving the health of a population), and has a degree in global health from the University of Oxford. David has also recently graduated from the UK Field Epidemiology Training Programme. He has interests in evidence-based population health, communicable disease control, and helping policy-makers to use evidence when making decisions about improving the health of their population. He is authoring a review with the Cochrane Infectious Diseases Group.